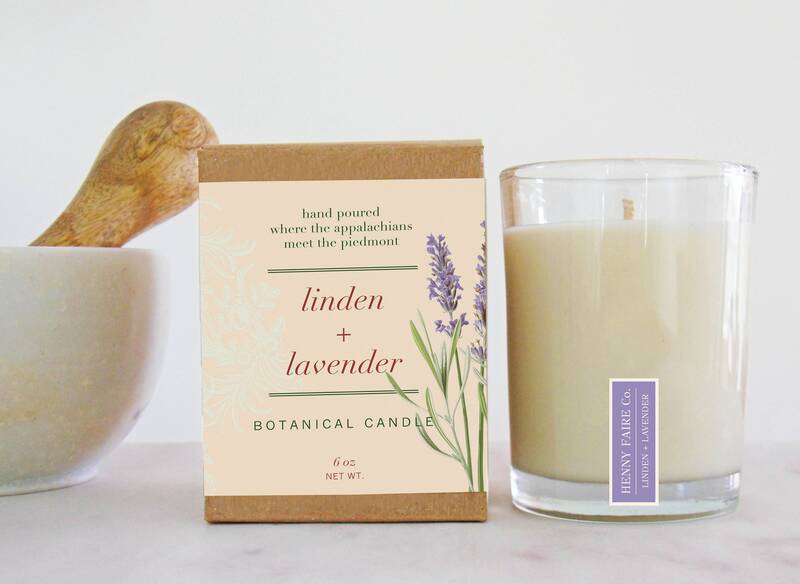 HENNY FAIRE Co.'s Linden + Lavender Botanical Wax Candle is a soothing spa fragrance blending lavender buds, Roman chamomile & creamed linden honey. 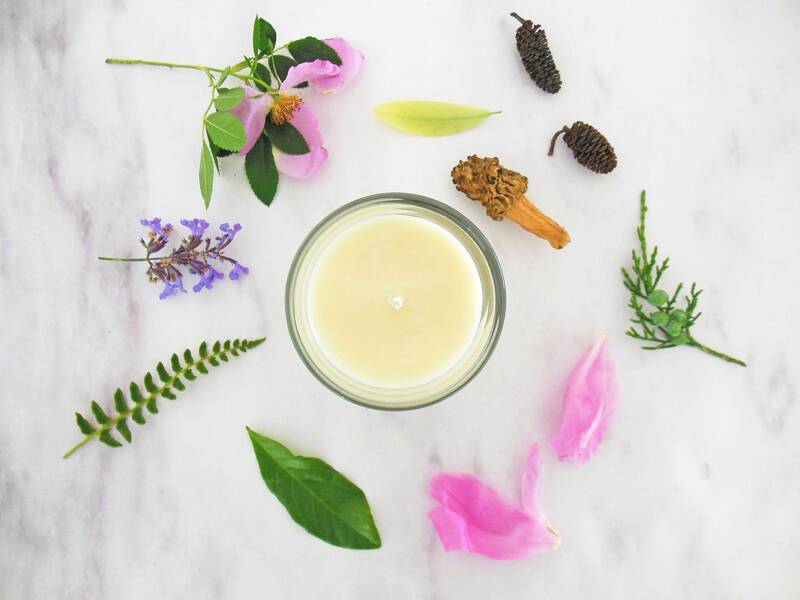 Clean and calming, this natural luxury candle will relax and refresh. HENNY FAIRE Co. candles are inspired by the fragrances of an Appalachian wilderness. Blending clean-burning, 100% biodegradable soy and coconut waxes with essential oils and pure fragrance, our candles are hand poured in small batches. We package in heavy glass vessels and in 100% recycled kraft chipboard boxes.